Christmas Recipes Cookbook download in PDF format. Feel free to share Cindy Rankin’s ebook with your followers on Pinterest. Learn how to prepare 100 mouth-watering and innovative recipes for your loved ones this Christmas! Looking to spend a fun-filled and memorable Christmas with your family members, friends and near ones? Well then, don’t miss out on this golden opportunity to celebrate Christmas in style! 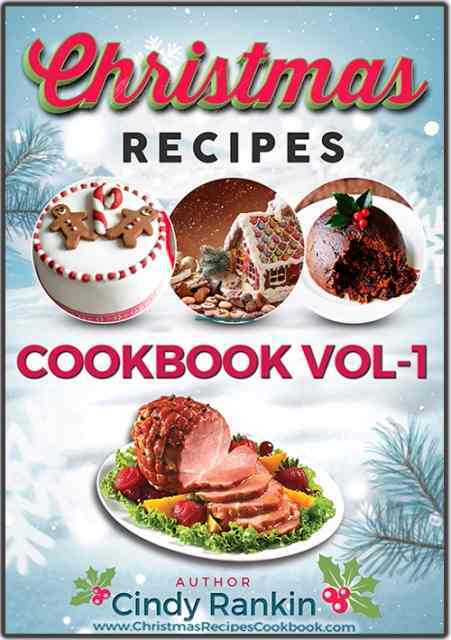 All you need to do is grab a copy of “Christmas Recipes Cookbook Vol-1”, authored by Cindy Rankin and you are good to go!